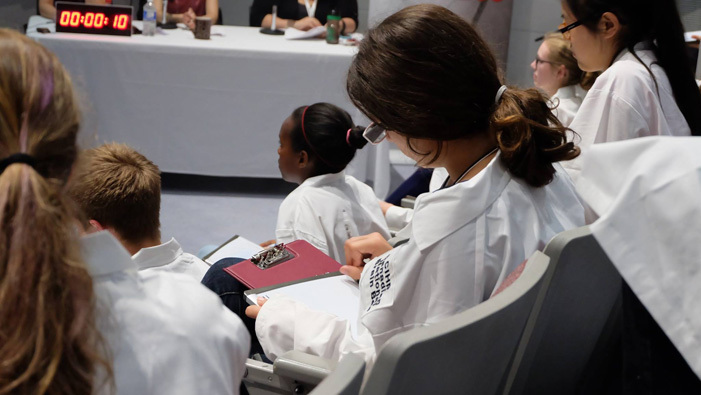 High school students from across the Maritime region will show off their knowledge of neuroscience at the first-ever University of New Brunswick Brain Bee and compete for an opportunity to attend the Canadian Institute of Health Research National Brain Bee. The event is organized by UNB’s department of psychology and will be held on Monday, April 10, from 9 a.m. to 4 p.m. on the UNB Fredericton campus. The Brain Bee competitions were founded in 1996 by the Society for Neuroscience to promote the study and research of the brain, said Dr. Scheerer. Like a spelling bee, Brain Bee competitors answer questions about the brain and neuroscience research. Topics include sleep, intelligence, emotion, stress, aging, brain imaging, and more. Participants are provided with study materials to help them prepare for the competition. The winner of the UNB Brain Bee will receive a trophy, a Muse brain-sensing headband and personal meditation assistant, and round-trip airfare and accommodations to attend the Canadian National Brain Bee in Hamilton, Ont. in May. The winner of the Canadian competition will move on to the 2017 International Brain Bee World Championship in Washington D.C. The UNB Brain Bee is open to all students in grades 9 through 12 from the Maritime provinces and participation is free. Dr. Sandra Byers, chair of the UNB department of psychology, said her department offers degrees with specialization in neuroscience and the Brain Bee is a natural fit at UNB.